Part of our tree service company is being full service, including landscaping. Driscoll Tree has been providing these services along with their tree service for years. If you are in need of a professional to landscape your residential or commercial property give us a call. In reality what we do is help increase the value of your property by landscaping. 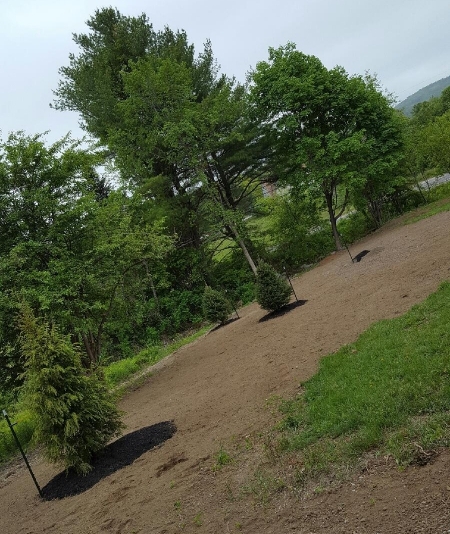 We can enhance your property with trees and shrubs. We are finding that many home owners prefer a brick walkway to give a new look and feel to the property. Along with tree maintenance like shrub and tree pruning we can also provide property erosion control. Effective erosion control will help prevent wind and water erosion in land, coastal areas, river banks, agriculture and construction. 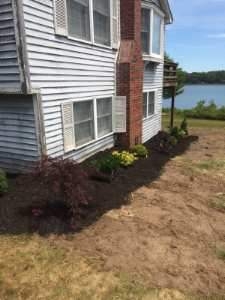 Our services also include new lawn installation, mulching planting new shrubs and trees. If needed we will install a water drain system. We are experts at pruning, trimming or taking down trees as needed. 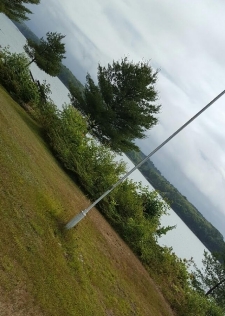 We will give your property a new look. 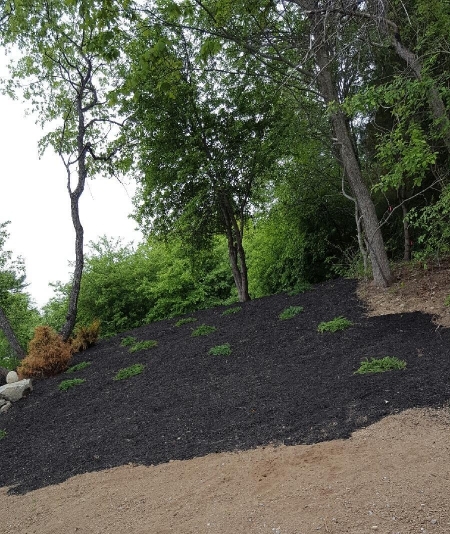 Wood Retaining Walls - Weeding - Reclaiming Beds and Barking - Surface Water Drain Systems - Erosion Control - Planting and Mulching - Tree and Shrub Pruning - Fertilizing - Lawn Installation - Tree and Shrub planting - Brick walkways - Blue Stone Patios - Lawn Installation - Mulch Pathways. 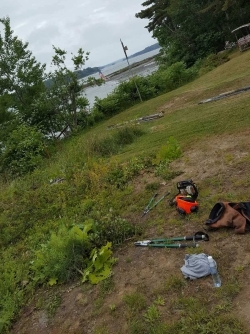 Before and After Landscape Work in Brunswick, Maine. 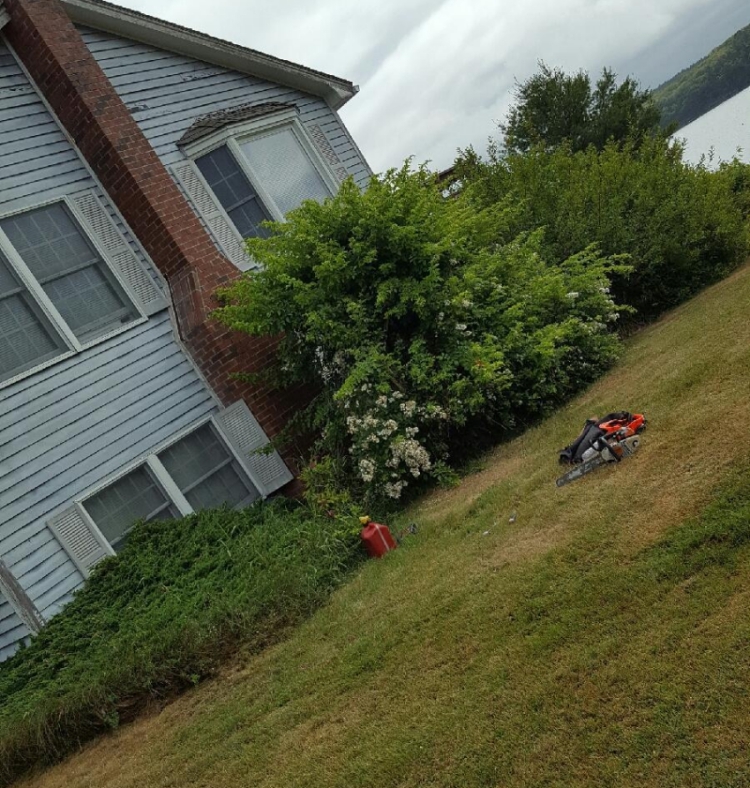 Removing overgrown shrubs. Cleaning up and landscaping the lawn area.